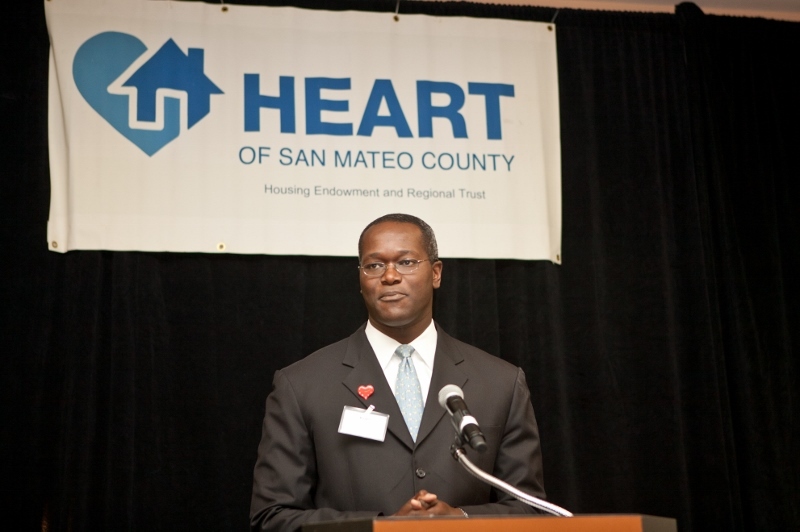 Keynote speaker Kojo Ako-Asare, Head of Corporate Investments for Google, talked about Google’s program to buy low-income housing tax credits to invest in affordable rental home developments around the county. Not only does it support communities, he pointed out, but these investments are the equivalent of AAA bonds. Public/Private Partnership in South San Francisco highlights the story of 636 El Camino, 109 apartments for working families, developed by MidPen Housing in South San Francisco. This demonstrates the power, and need for public private partnerships to create more affordable housing. Cris and Koren: Buying Their First Home in San Carlos introduces a young couple wanting to move back to San Mateo County. He grew up in San Carlos and they were able to buy their first home there with the help of HEART and Meriwest’s first time homebuyer program. 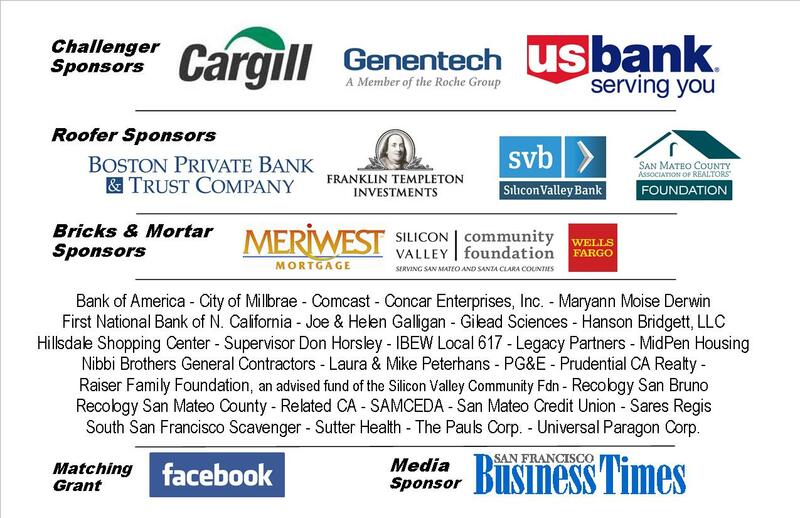 Thanks to a matching grant of $10,000 from Facebook, we raised $25K at the lunch to support our homebuyer program. Thanks to our sponsors, we raised over $115K for HEART this year! Thank you.